Today I have an interview with Mark Sabalauskas on Return to the Stars, which is currently on Kickstarter! I'm contributing a solarpunk scenario for the game, but I'm really interviewing Mark because it's a hopepunk game in a world that could really use some hope. So check it out, and see what Mark had to say below! Tell me a little about Return to the Stars. What excites you about it? Return to the Stars is an optimistic science fiction role playing game, powered by Fate. I am excited to share a game with people where they can imagine having cool adventures in better future. 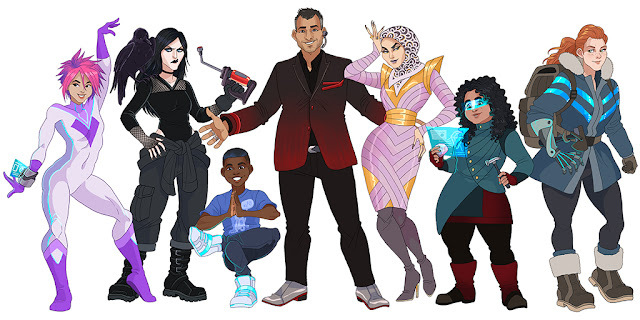 The direct inspiration was the sense of community that came from being surrounded by diverse, smart, and curious people at a Sci-Fi convention I attended. Hanging out with enthusiastic pop culture geeks was a real respite from much of the darkness in world. It occurred to me that the original Star Trek may have resonated because it provided a similar respite in the 60s, a very turbulent time. So I created a game that combines the best parts of gamer and geek culture with science fiction exploration. Imagine if Chiana from Farscape was a genetically enhanced cosplayer, or Scotty was someone who loved hacking things to take to a Maker Faire. The basic premise is that in a post-scarcity future hyperspace travel gave easy access to countless worlds, and humanity sorted itself into like-minded communities. One such society was the Convention Authority, founded to celebrate the now classical arts of science fiction, fantasy, and gaming. One day, without warning, the stellar beacon that illuminated hyperspace went silent rendering galactic travel impossible. The systems of the Convention Authority stayed connected thanks to a replica fleet of early starships. Now, after more than a century of effort, a long-range exploration craft has been built. Its purpose: to return to the stars and reconnect the lost civilizations of humanity. You play as one of a new generation of geeks — makers, genetically enhanced cosplayers, scientists, and pop culture enthusiasts setting out on an adventure of exploration and discovery. What are some of the challenges of making a hopepunk type game, and how have you approached them? Hopepunk is a subgenre centered around the idea that in the face of oppression and cynicism caring about things is an act of resistance. It is about being kind and also fighting against injustice. One challenge was to balance hopepunk with other themes in the game. I addressed this by having a setting where long isolated civilizations are reconnecting. Around the table, this means the world being rediscovered "this week" can tell a unique story, giving you a chance to dive deeply into its themes. Also, player characters come from a fairly utopian society. They could simply chose to stay in their post-scarcity paradise, complacent, sitting around a pool discussing seven centuries of anime and arguing if the 78th edition of D&D was the best, while robots serve them pina coladas. During character creation you have to create an aspect that explains why your character wants to leave this privilege behind. Why they are willing to put their comfort aside and risk their lives to explore and help the rest of humanity. 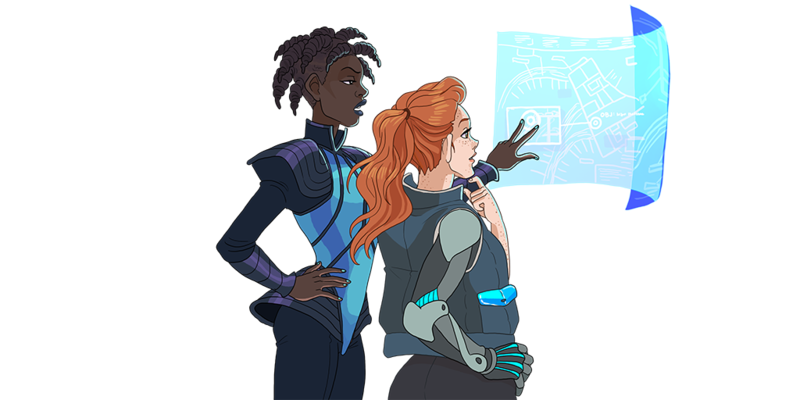 To encompass the full scope of hopepunk, Return's skill system had to players plenty of non-combat options--play can revolve around making and learning and sharing what you've learned, not just combat. Also, the mechanics for competitions and down-time tinkering give players ways to show off the the things their characters care about. Tell me a little more about the world. What kind of people are there? What sort of technology do they have access to? Return to the Stars is set in the early 27th century, 600 years from now. During that time humanity spread through the Galaxy thanks to origami drives that fold hyperspace. 125 years ago, Stellar Beacon that illuminated hyperspace suddenly went silent, rendering galactic travel impossible. Now a limited form of interstellar travel has been discovered. Communication is limited to the speed of space travel, so players need to act on their own initiative, they can’t phone home for instructions. You'll travel from world to world, encountering a diverse array of human societies. There are no intelligent aliens in the setting, and digital life can't travel through hyperspace. Stories exist to help people understand humanity, these choices are very intentional. Of course, you still have the option spinning a tale about a runaway AI on a particular planet. Probably the most unique tech in the game is cosplay, which in the 27th century is the aptitude for self-presentation using costuming, genetic modification, posture, and movement. Because cosplay involves granular genetic control of your body it is a skill you can use to recover from physical consequences. What's the mechanical system like in Return to the Stars? How do players interact with the world? Return to the Stars is powered by Fate, which is a proven indie game system that has been popular over the past decade. It is great for telling stories that are centered on who your character is and what they care about as opposed to what stuff they carry. You characters have skills and stunts that let them bend the rules. But the heart of the system are aspects, short phrases that describe who your character is. You start a session with 3 Fate points, when you need a boost, and it makes sense, you can spend a Fate point to get a skill check bonus. On the other hand, if you chose, your aspects can complicate you life, earning a Fate point, so you can be awesome later. 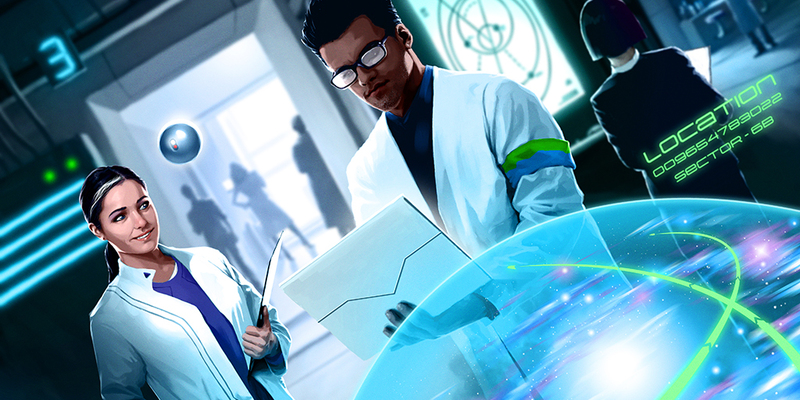 So if your character is a very curious science officer, they might tempted to wander off to investigate a strange screech, earning a Fate point, or they might spend a Fate point to be awesomely effective at solving a scientific mystery. In this way the game emulates the up and down beats of a story. My goal: if you love anime or games or science fiction or cosplay, and have thought about trying roleplaying games, you can get Return to the Stars, read it, and play. If you already love games powered by Fate, I’ve added fun new subsystems: character arcs, props, downtime tinkering, and competitions. You can learn more about them on the Kickstarter. And, of course, there is a dedicated set of sci-fi skills and over 100 new stunts to mix things up! At the center of it, what kind of stories do players tell in the game, and what do you wish to see the most? Return to the Stars is designed to help players tell stories of sci-fi exploration and adventure. I hope players players take advantage of a game that can be as much about making, learning, and communicating as it is about punching space fascists. 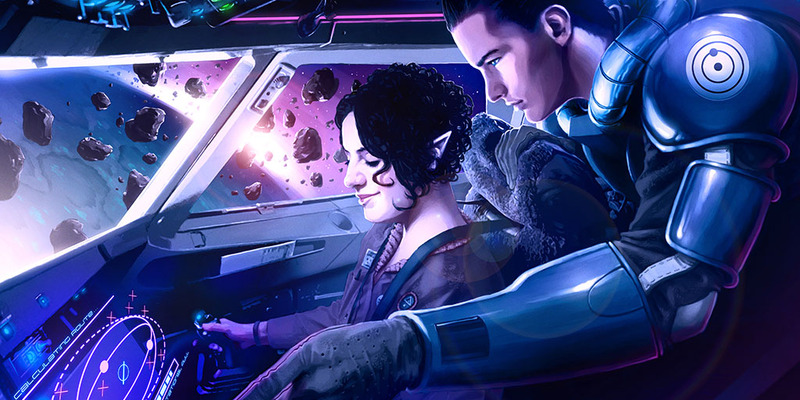 Ultimately, of course, the great thing about a tabletop role playing game is that people can bring their own interest and passions into the game, adding theme to the themes in the game: optimism, space opera, pop culture, and hopepunk. Thank you so much to Mark for the interview! I hope you all enjoyed reading Mark's responses and that you'll check out Return to the Stars on Kickstarter today!